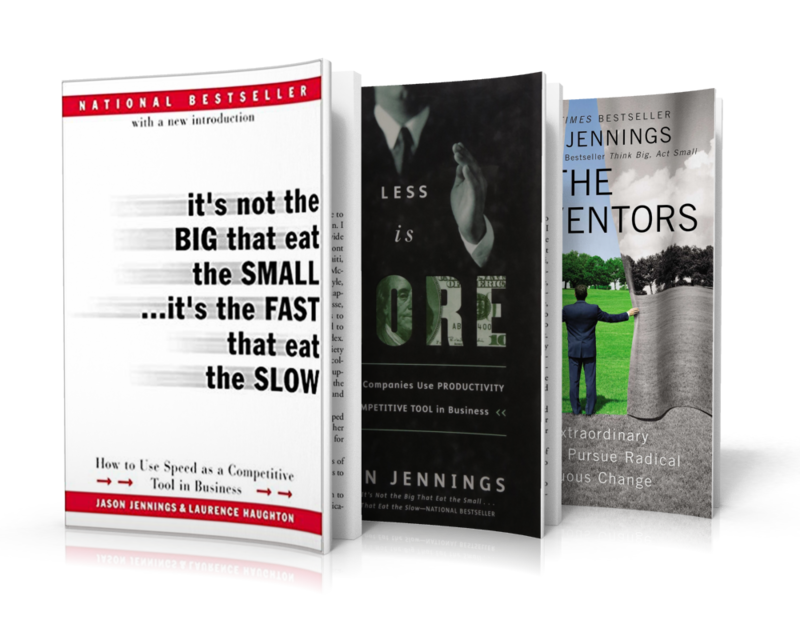 Jason Jennings is one of the most successful business and leadership authors on the planet. Jason began his career a radio and television reporter and became the youngest radio station group owner in the country. Later he founded Jennings-McGlothlin & Company, a powerful consulting firm that became the world’s largest media consultancy. His books have been seen on the Wall Street Journal, New York Times and USA Today best-sellers list. Jason Jennings, the New York Times best-selling author and business growth expert teaches proven principles for sustainable business growth discovered, distilled and documented from his years of studying America’s top performing businesses that continue to grow by 10% or more year after year.